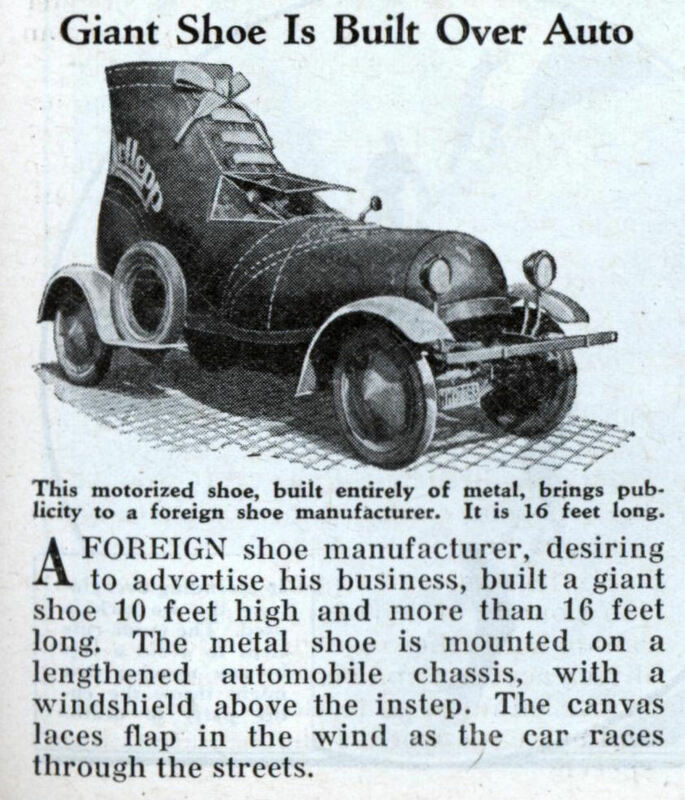 A FOREIGN shoe manufacturer, desiring to advertise his business, built a giant shoe 10 feet high and more than 16 feet long. The metal shoe is mounted on a lengthened automobile chassis, with a windshield above the instep. The canvas luces flap in the wind as the car races through the streets. 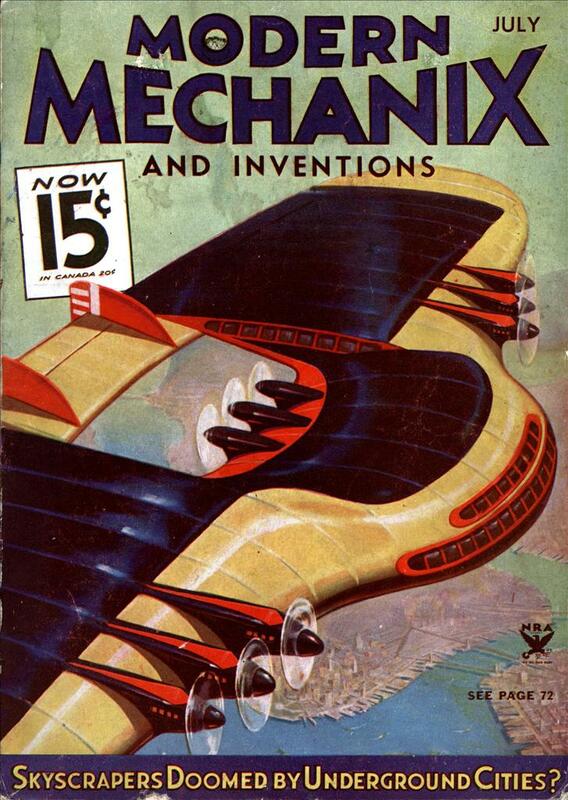 It should have been made to look more like a rollerskate. I can’t imagine that the “new car smell” for this auto is very good. I always wondered what Mother Hubbard drove.